Two releases by Roger Smith, the ever so active Chefkirk. Both of these releases are available as downloads only, but do come with artwork. "W0V9CD8" released by the Bulgarian label Mahorka has five pieces, and comes as a real surprise. 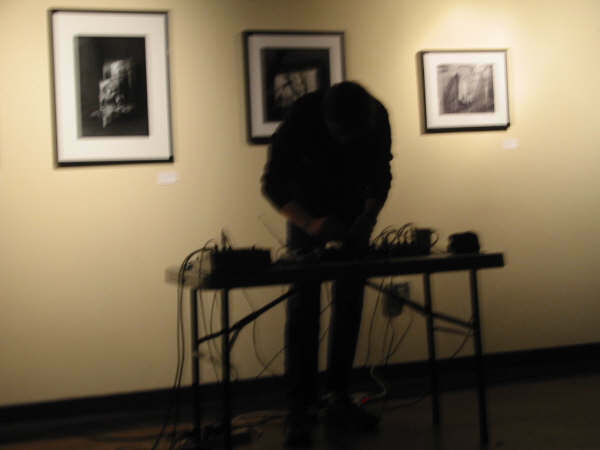 The noise element has been almost entirely replaced by a more loosely improvised musique concrete sound of sampled electro-acoustic sources and scratched records. The rhythm element remains a feature here, so the Pan Sonic influences are still there. Only the fifth piece is a slab of feedback. But all in all: quite a step forward. For the second MP3 release he turns back to his rhythm and noise phase, which sound suddenly less exciting than the previous release. This is more of the same, still much better than what he started with several years ago. But it's quite similar stuff, whereas it would be better to explore the new paths chosen for his Bulgarian MP3 release.